Online learning is growing. How do online classrooms differ from the face to face classroom? What about the student/teacher relationship? Jade Ballek is a principal of an online K12 school in Canada. She tells all: the challenges of online learning and the strengths. How do you know if a student is “really” learning? Ways students have to be trained to interact with online instructors to make the relationship better. How Jade analyzes course content to improve it. The benefits of online learning, particularly for kids who are shy or quiet. The challenges of online learning and what Jade does to level up course content and teaching. If you’re a blended classroom (or flipped), like me, you’ll learn lots of handy tips to help you improve your online classroom. Most 21st century classrooms are comprised of bricks (f2f) and clicks (online) and our ability to meld the two into a powerful learning experience will determine our success as teachers. Lesley University has an impressive line-up of online programs specifically designed for busy teachers. If you’re interested in strengthening your professional training, your resume or your career options, you’ll want to take a look at what Lesley has to offer. Lesley’s programs include: •creative learning environments •experienced faculty •small classes, and •the kind of supportive online community that we all value and want. Take a moment to check out Lesley’s programs for teachers by going to Online.Lesley.edu/BamRadio. Check out Lesley University’s programs. 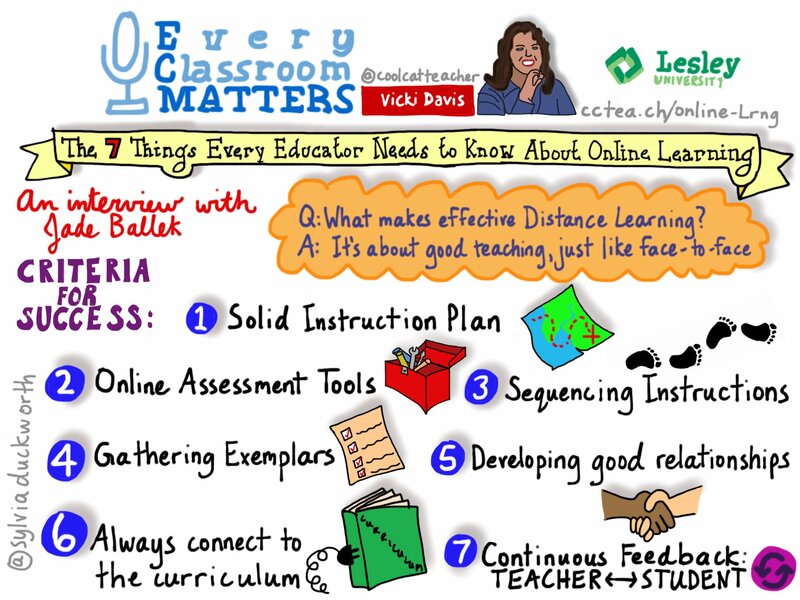 7 Things Every Educator Needs to Know about Online Learning – drawn by Sylvia Duckworth. 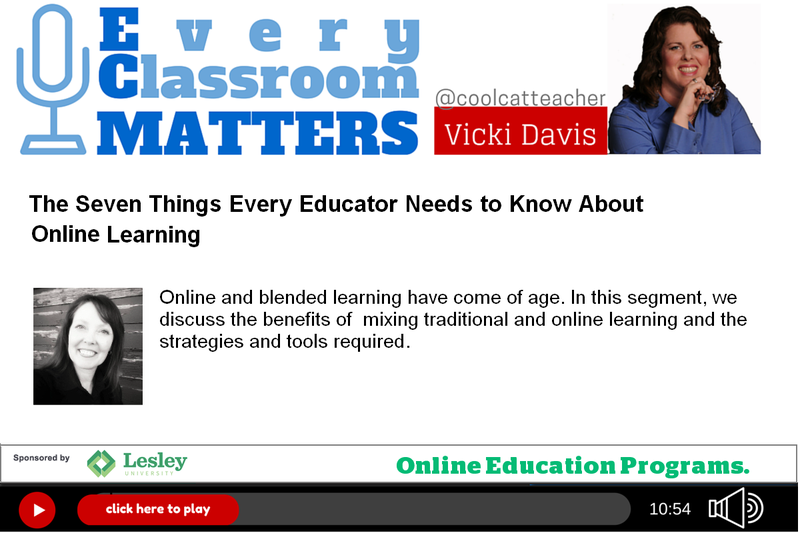 The post 7 Things Every Educator Needs to Know About Online Learning appeared first on Cool Cat Teacher Blog.